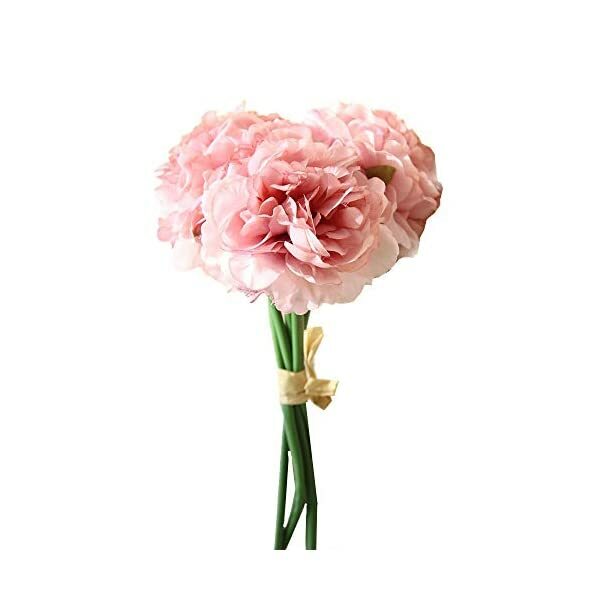 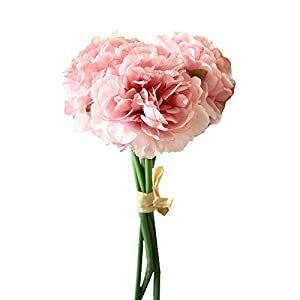 ☆Artificial peony create romantic beauty that enables you to enjoy poetic home life in your kitchen,windowsill,living room,dining table,bedroom,front porch,garden,veranda,balcony with these fake flowers. 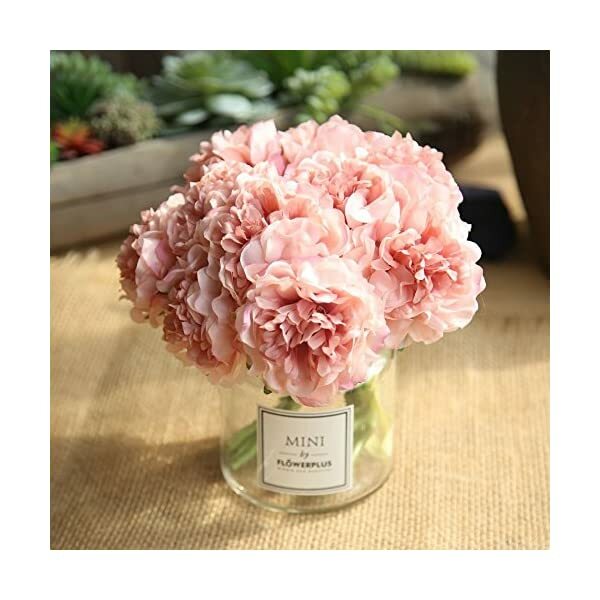 ☆Fake flowers peony bouquet has 5 pretty peony heads with plastic stems, length approx 10.2 inch,diameter approx. 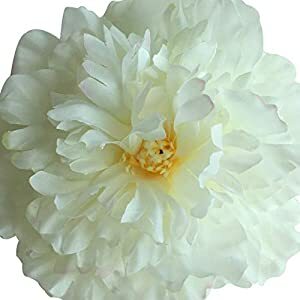 5.5 inch. 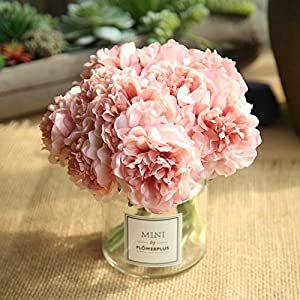 You may purchase 2 for full-looking and bend or prune to create DIY floral arrangements decor that fits perfectly for your satisfying taste. 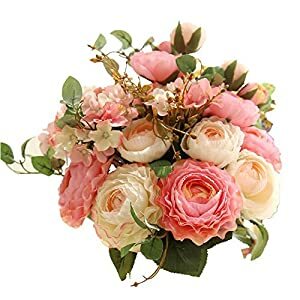 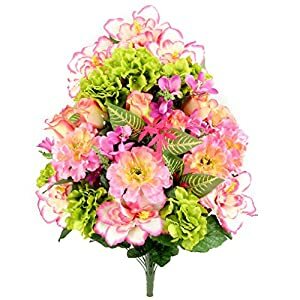 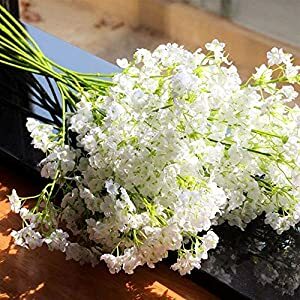 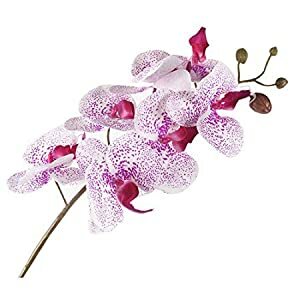 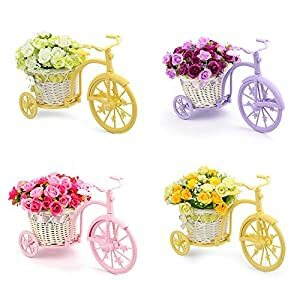 ☆Artificial flowers may be squeezed and deformed in transit, you may adjust the branches to the most natural state after displaying it.You can also use boiled water to smoke deformed flowers, use the hair dryer with cold wind to dry it. 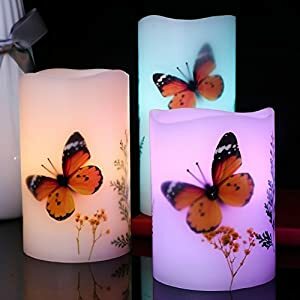 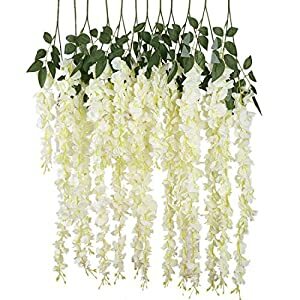 ☆Silk flowers fit for wedding bridal bouquets and flowers décor,table centerpieces,home indoor décor,garden outdoor use,office,party,anniversary,cemetery,Valentine’s Day and Christmas decorations. 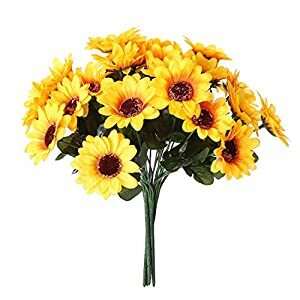 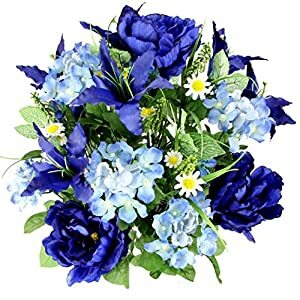 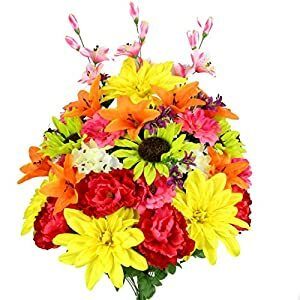 ☆Plastic flowers are uv resistant and vivid realistic, can be put anywhere the hot/cold weather kills much fresh flowers and always vibrant and alive with you.